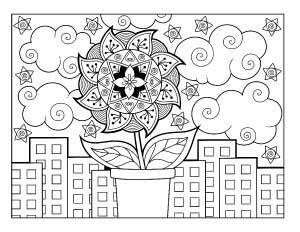 These Earth Day coloring pages are fun to color with your family! Use them to spark a conversation and post them on your fridge to serve as a beautiful reminder. 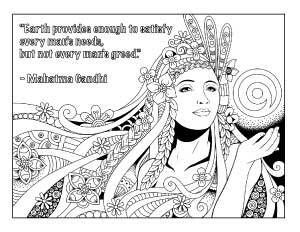 Can you believe Earth Day is almost 50 years old?! First celebrated in 1970, it’s grown to a worldwide event that’s observed every April 22. The first time I can remember hearing about Earth Day was in middle school when we were invited to do a paper bag decorating contest. I actually won the contest for my school, though I couldn’t tell you anymore what, exactly, I won! Probably the joy and privilege of having my bag on the wall at a local grocery store alongside bags decorated by other middle schoolers. 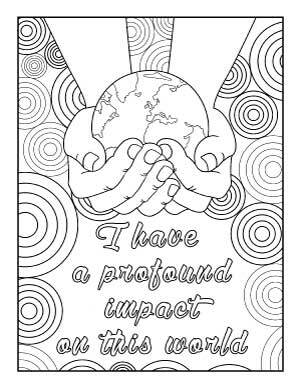 Today I’m sharing 20+ Earth Day and environmental coloring pages to help you and your family remember the core message of making more environmentally-friendly choices whenever possible. 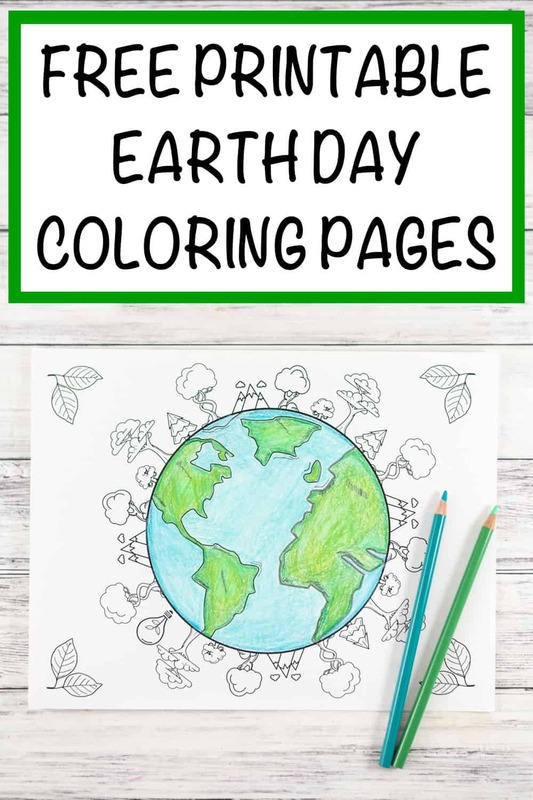 These pages are great all year, not just on Earth Day! This post may include affiliate links, which means I may earn a small commission on purchases made through these links at no additional cost to you. As I’ve written several times this year, we’re trying to become a lower waste family. Here are a few easy ways to lessen your impact on the environment all year long, not just on Earth Day! My motto is “something is better than nothing!” Remember that even small choices add up with time. These images are just low resolution previews, not the high resolution PDF files you’ll want to print! Please look below the preview for download information. 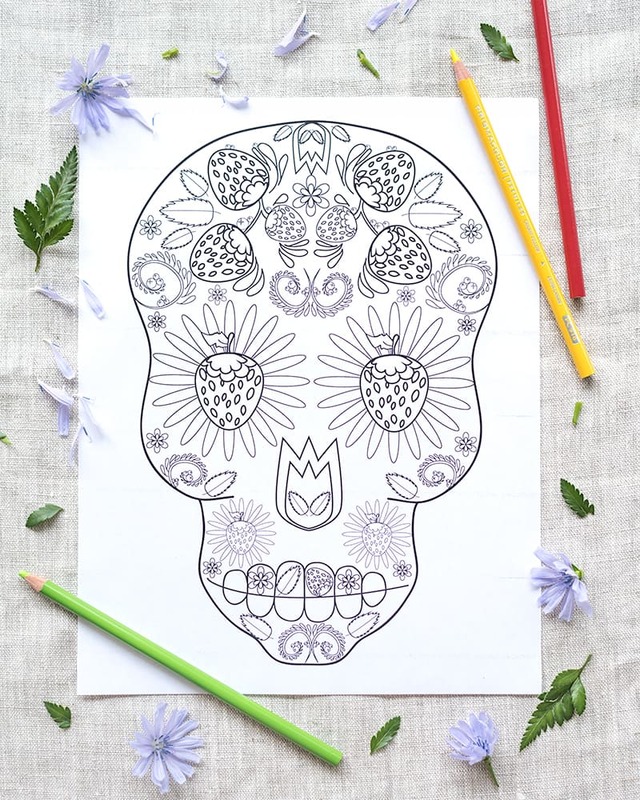 I am so pleased with this first coloring page! It reminds me of the design I drew on the bag all those years ago. 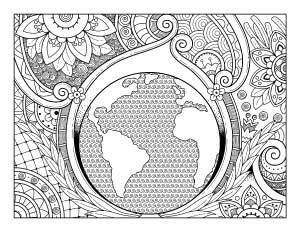 It features a globe with trees, mountains, and leaves. 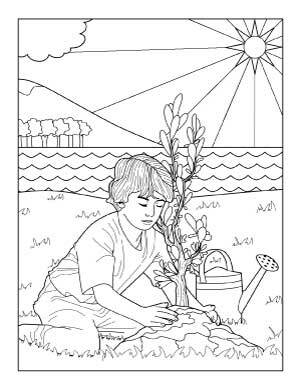 This coloring page with a child planting a tree is a great one to share with your kids! 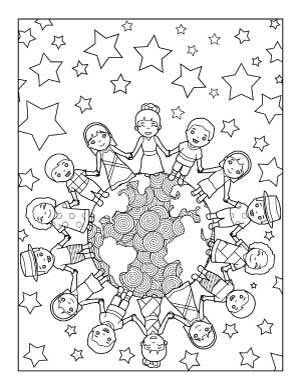 These children holding hands around the globe is another good one to share with family members. 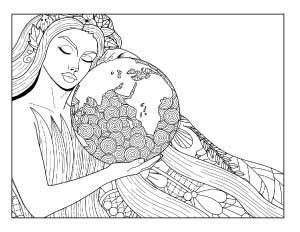 I love this Mother Earth coloring page! This plant growing in the middle of a city is such a great reminder that you can grow things anywhere! One of the most common reasons I’ve heard for not taking steps to be more eco-friendly is that “I’m just one person.” People frequently just don’t see how their efforts alone can make a difference! 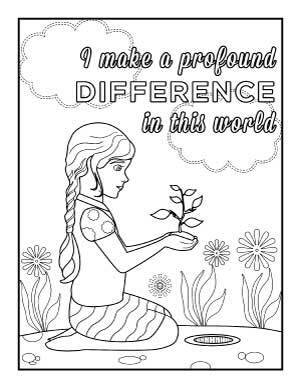 This page says basically the same thing, but shows a girl planting a seedling. 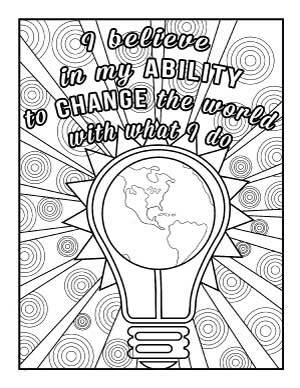 This coloring page featuring a lightbulb with the Earth inside also has a similar message “I believe in my ability to change the world with what I do.” This coloring sheet just has the globe surrounded by floral doodles and two stalks of wheat. 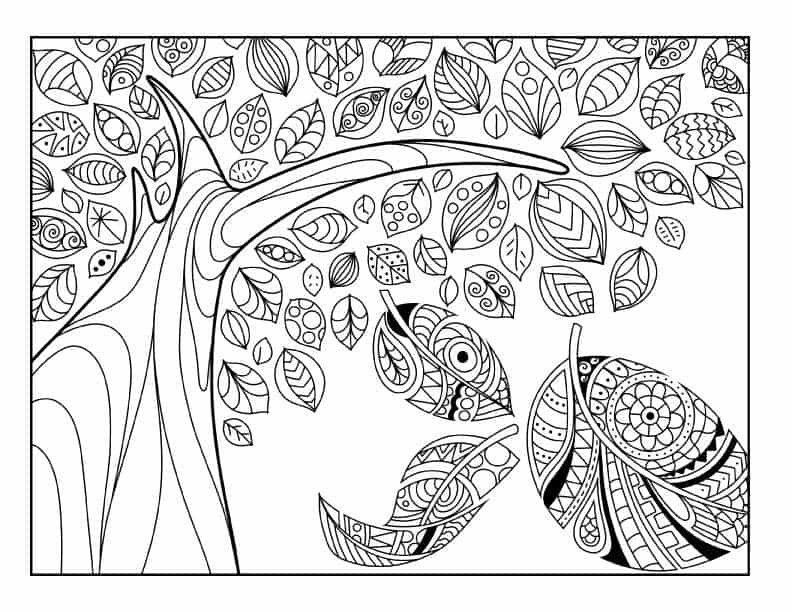 If you’re not a fan of quotations on your coloring pages, you’ll enjoy this tree with leaves! 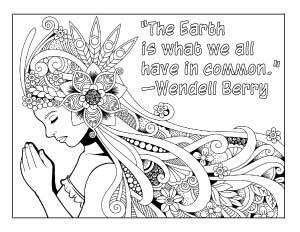 This coloring page features Gaia and the quotation “The Earth is what we all have in common” from Wendell Berry. 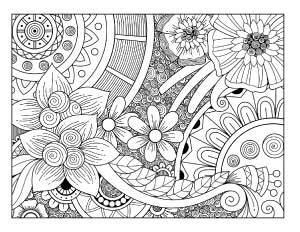 This floral coloring page is so much fun to color! 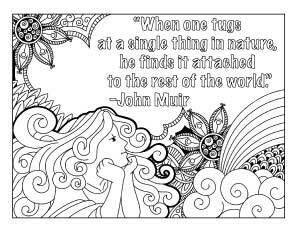 This coloring page has a John Muir quote “When one tugs at a single thing in nature, he finds it attached to the rest of the world.” I selected the quotation because I think it’s such a beautiful reminder of how interconnected and interdependent everything is in an ecosystem. These sprouting seeds have plenty of space in the sky to write your own message. 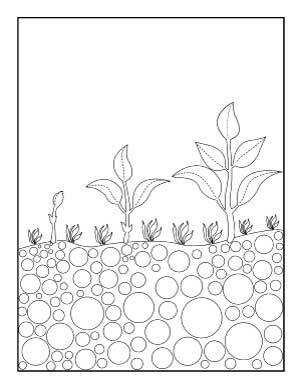 It would be a good one for talking about plants with your children, too! 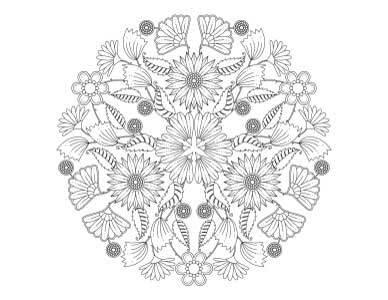 And, of course, I have to include a few floral mandalas! 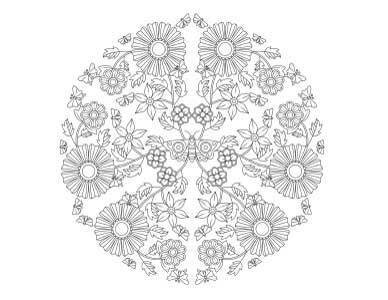 The first mandala features flowers and bees. It seems so appropriate considering how important bees are to agriculture and the tragedy of colony die off that’s affected so many of these important pollinators. 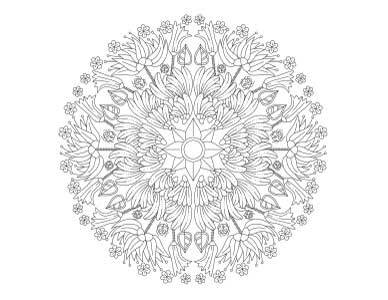 The second mandala has plenty of flowers and leaves to color. 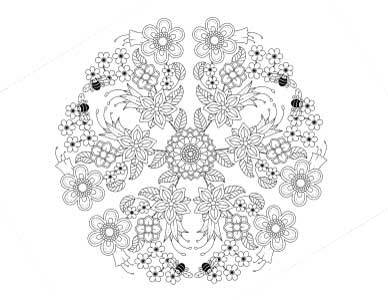 The third mandala features florals and a ring of ladybugs! 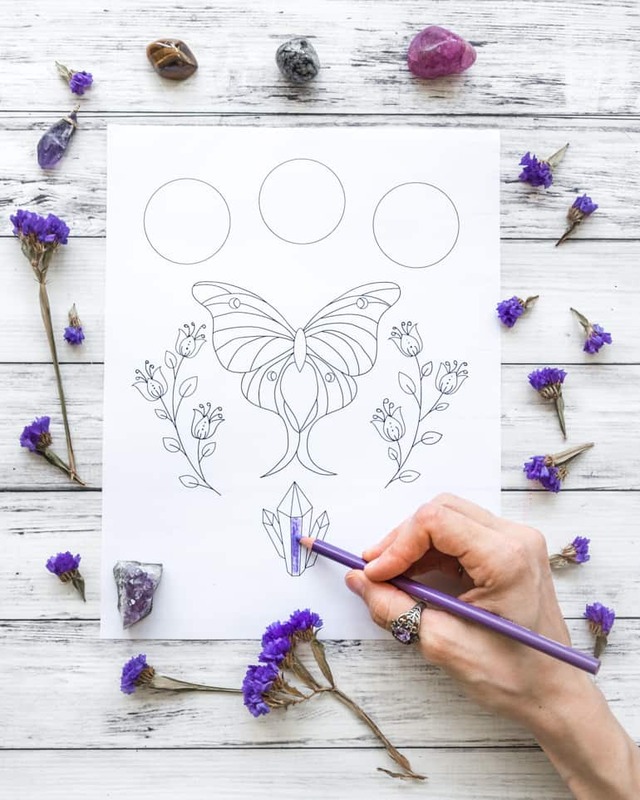 The fourth mandala has a lovely butterfly at the center and smaller butterflies around the outside. 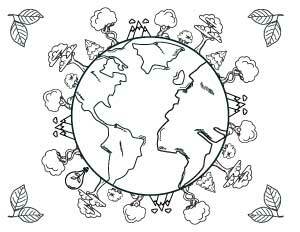 Alright, let’s talk about where to download your Earth Day coloring pages! Like the vast majority of printables on The Artisan Life, these pages live in the Member’s Resource Library. If you’re already a member, hop on over, put in your password, and get downloading! If you’re not a member yet, no problem! We’ll get you logging in right away. Just fill out the form below letting me know where to send your password! 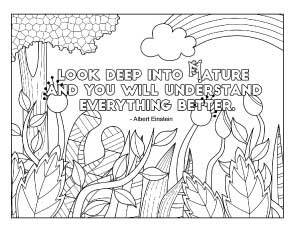 I hope you enjoy these Earth Day and environmental coloring pages all year long! 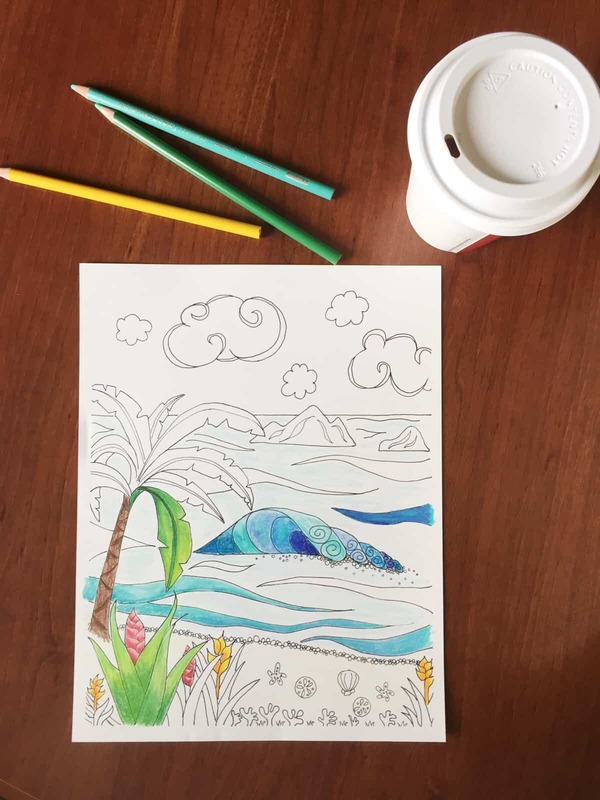 I’m always sharing more printables and coloring sheets on The Artisan Life, so please remember to Pin this post and check back soon! 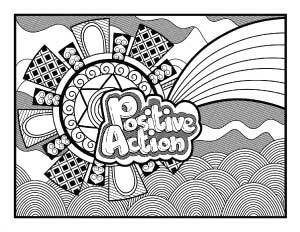 Please remember to Pin these coloring pages so you don’t lose track of them!